First published in 1972, this journal serves a worldwide readership of power and energy professionals. As one of the premier referred publications in the field, this journal strives to be the first to explore emerging energy issues, featuring only papers of the highest scientific merit. 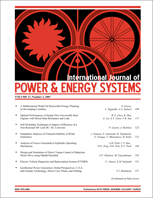 The subject areas of this journal include power transmission, distribution and generation, electric power quality, education, energy development, competition and regulation, power electronics, communication, electric machinery, power engineering systems, protection, reliability and security, energy management systems and supervisory control, economics, dispatching and scheduling, energy systems modelling and simulation, alternative energy sources, policy and planning. It appears three times per year.